North Merrick, New York, USA. March 31, 2018. 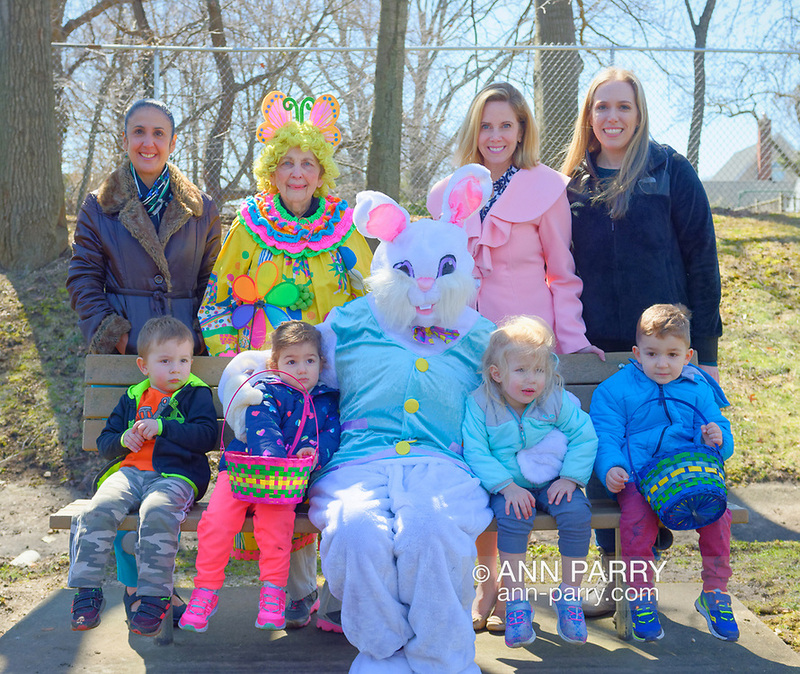 Back Row, L-R, Hempstead Town Clerk SYLVIA CABANA; BETTY TUCKER (clown) a member of American Legion Auxiliary Unit 1282; Hempstead Town Supervisor LAURA GILLEN; and SUE MOLLER, Co-President of North and Central Merrick Civic Association; pose with Easter Bunny sitting with young boys and girls at the Annual Eggstravaganza, with Easter Egg Hunt, held at Fraser Park and hosted by North and Central Merrick Civic Association (NCMCA) and American Legion Auxiliary.